VANCOUVER, BC – Craft beer consumer advocacy group CAMRA Vancouver has announced that it will be hosting an event this weekend to protest Vancouver’s restrictive public drinking laws. This will be a family friendly event where people will be encouraged to bring their kids, beach games, and some food. 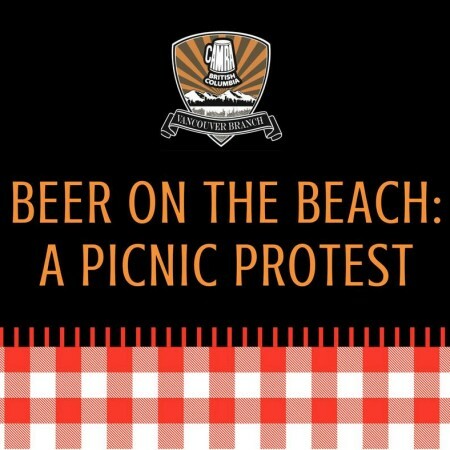 There will be no beer for sale or supplied to anyone at the event; but some of us will be bringing a beer to drink responsibly at the event as a form of protest. People are expected to behave intelligently and responsibly. We will be notifying the Vancouver Police Department and they can choose to send officers to oversee it if they so choose. Additionally, we will be notifying media so they can cover the story. The executive team will be present to ensure that things don’t get out of hand and that we leave the place spotless. For more details, see the full announcement from CAMRA Vancouver, and the Facebook event listing.